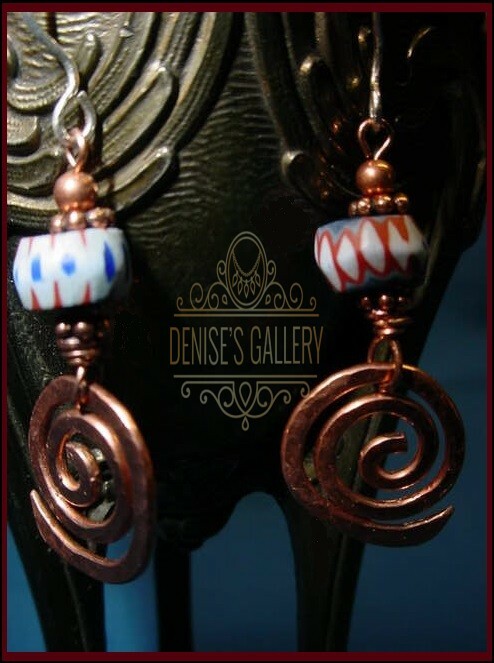 ANTIQUE, AWALA CHEVRON VENETIAN GLASS & HAMMERED COPPER SWIRL EARRINGS. 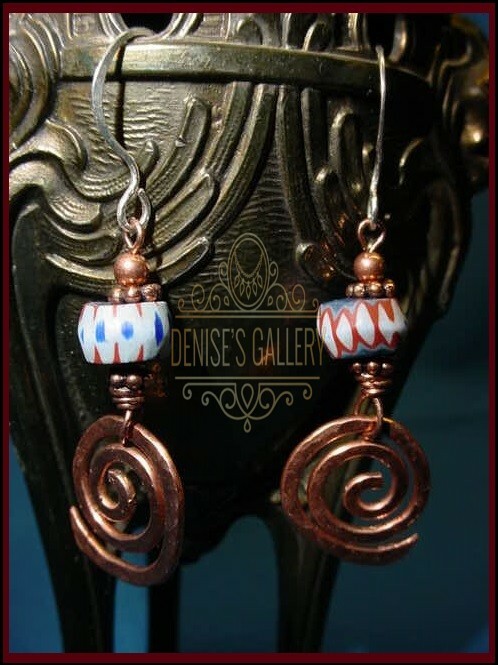 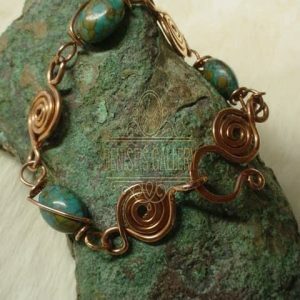 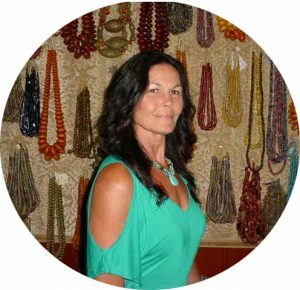 Antique (late 1800’s), Awala Chevron Venetian Glass Trade Beads, beautifully complement Handmade, Hammered Copper Swirls ~ accented with Ornate Copper Bali beads and Handmade, Hammered, 21 gauge, 925 Sterling Silver Ear wires. 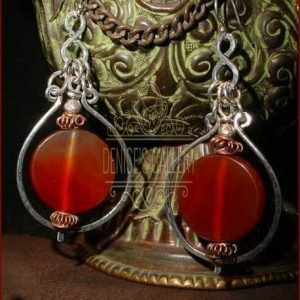 These Fabulous, Handmade, ‘One-of-a Kind’ Earrings dangle approximately 1 – 1/2 inches. 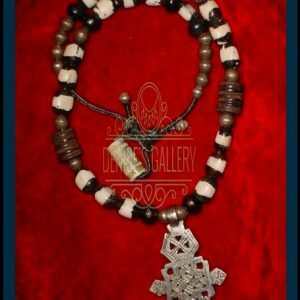 The Antique, Awala Chevron Beads measure approximately 9 x 5 mm.